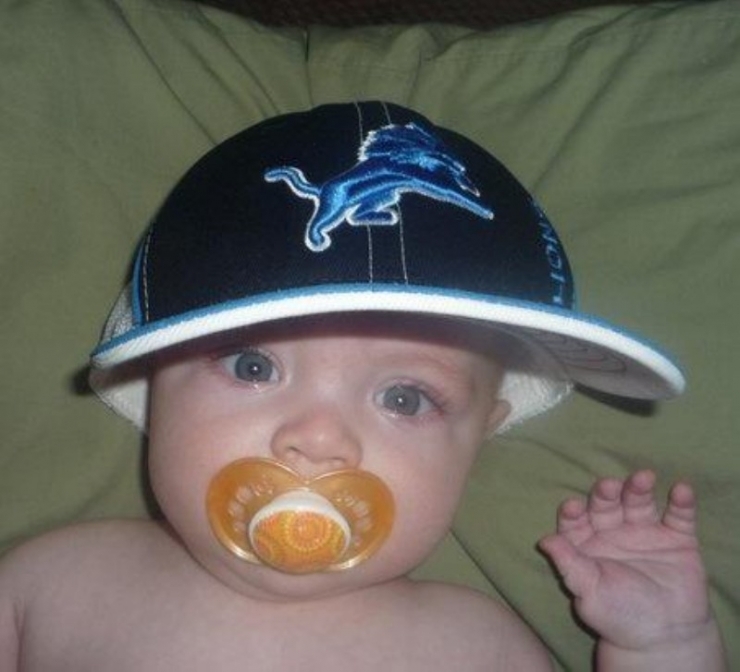 Before Oakley was born, when his parents Tim and Sarah were still expecting the world’s biggest Lions fan, they went in to the doctor for a routine 20-week ultrasound. Although they were over the moon to be expecting their fifth child, they had recently been given some bad news. Shortly before the appointment Tim had been hurt while working at an automotive parts plant and declared permanently disabled. Now he was forced to support his four children and pregnant wife on Social Security Disability. They were concerned about money, security, and the future, but neither of them could have predicted that by the end of that check-up those worries would be the last thing on their minds. 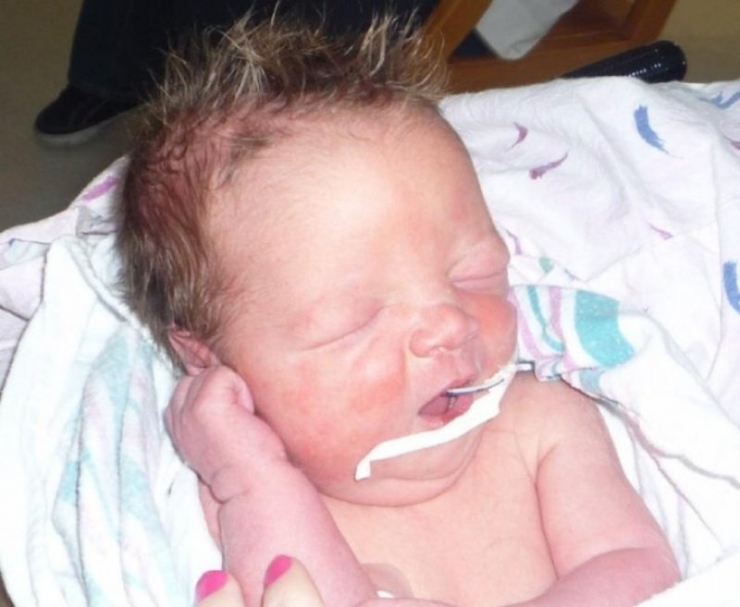 So, on September 3, 2010, Oakley Gerard Savickas took his first breath. Then, he took another one. Did we mention Oakley was a Lions fan? 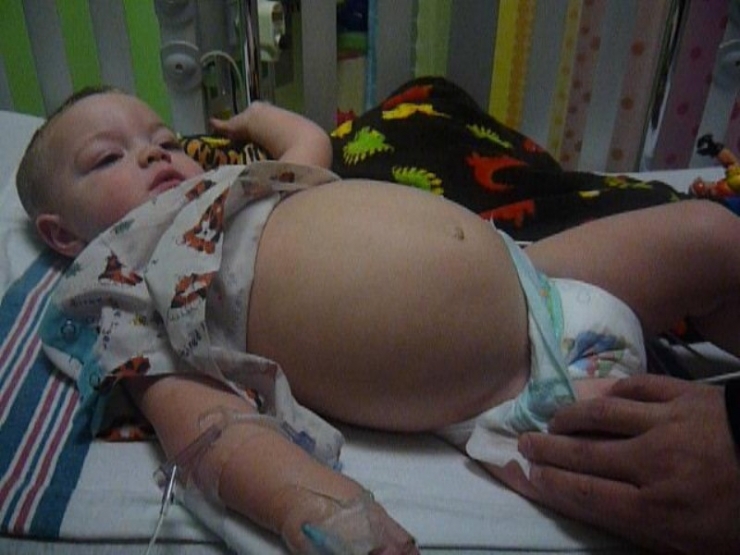 Oakley’s enlarged belly causes him pain, nausea, discomfort, and vomiting. 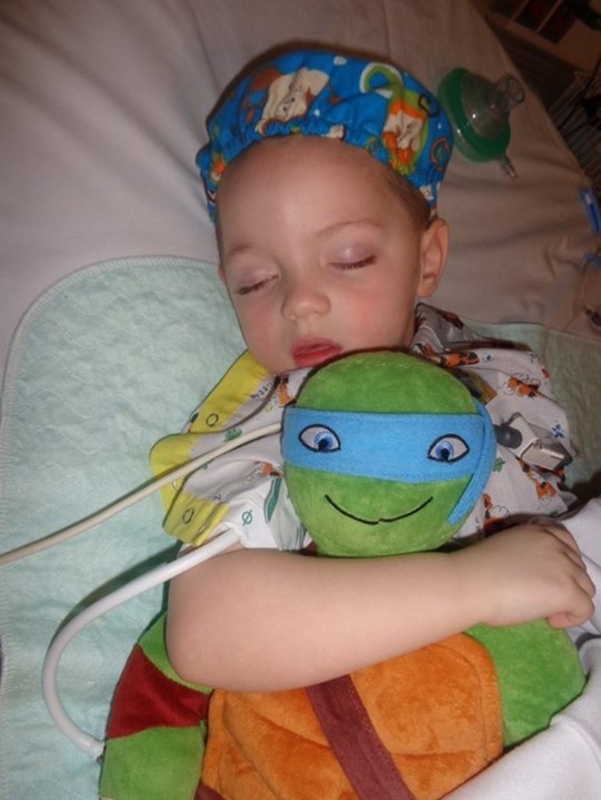 He has to wear a catheter which is susceptible to infection and prevents him from participating in many activities. 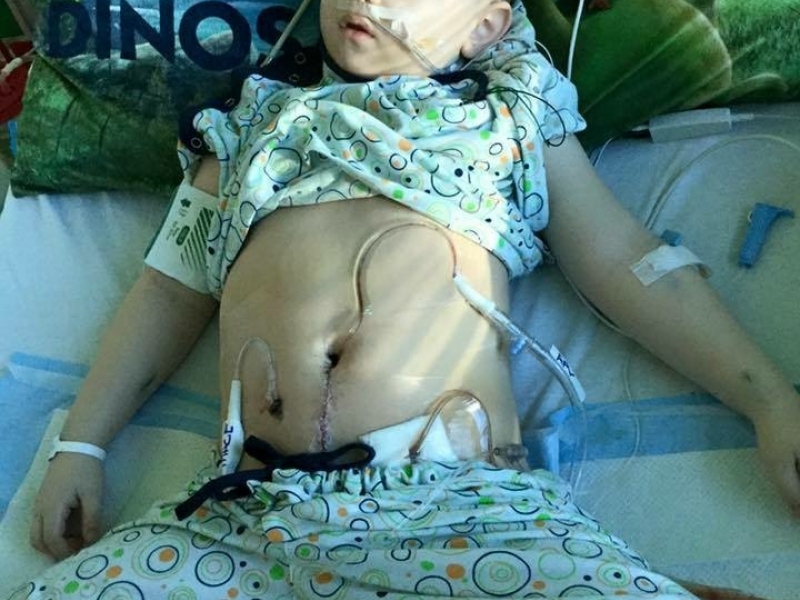 He has already endured 10 surgeries in his short life. 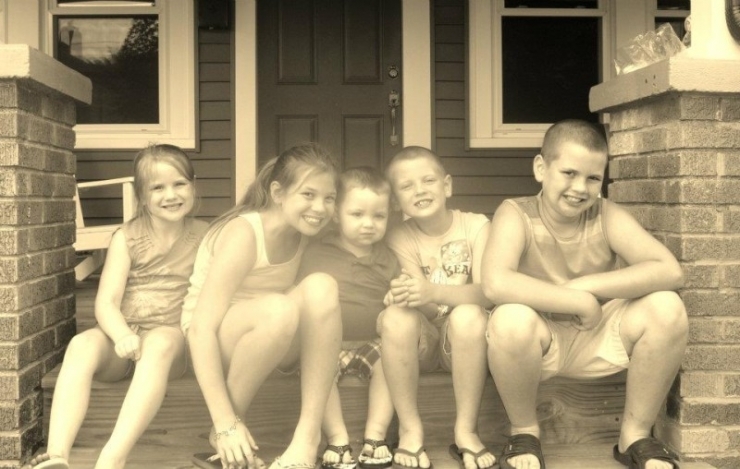 All the Savickas kids: from left, Elena, Olivia, Oakley, Owen, and Ethan. These are the four best siblings Oakley could ask for. Oakley's siblings are the unsung heroes of the family, making many sacrifices without ever breathing a complaint. 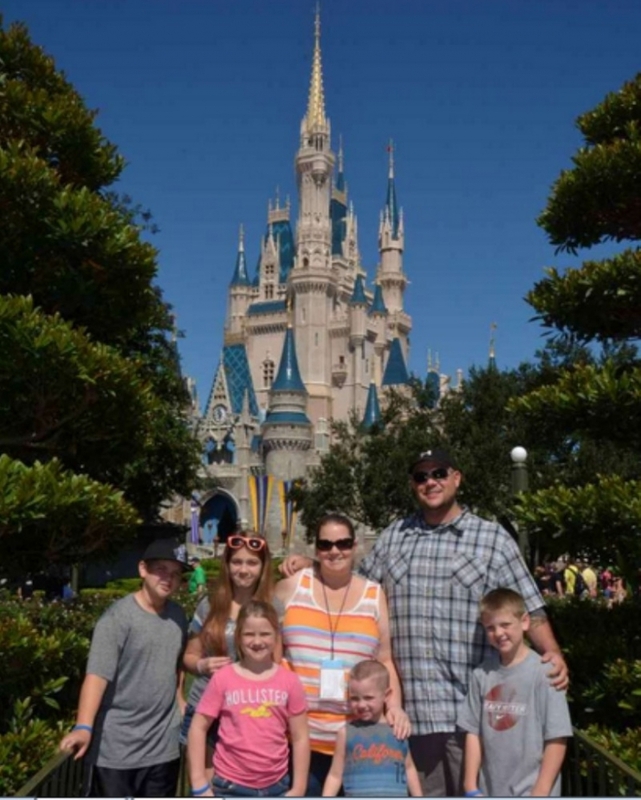 A perfect example of their support is when the family went to Disney World for Oakley’s Make-A-Wish trip. Oakley had only been released from the hospital the day before their flight, and was feeling very ill and unable to be outside for long periods of time. Although the family only left their hotel room for 2 of the 7 days, the children never complained. Their main priority was making sure their brother was okay. Oakley (catheter pictured) getting some vitamin D. He loves being outside and playing in the water. 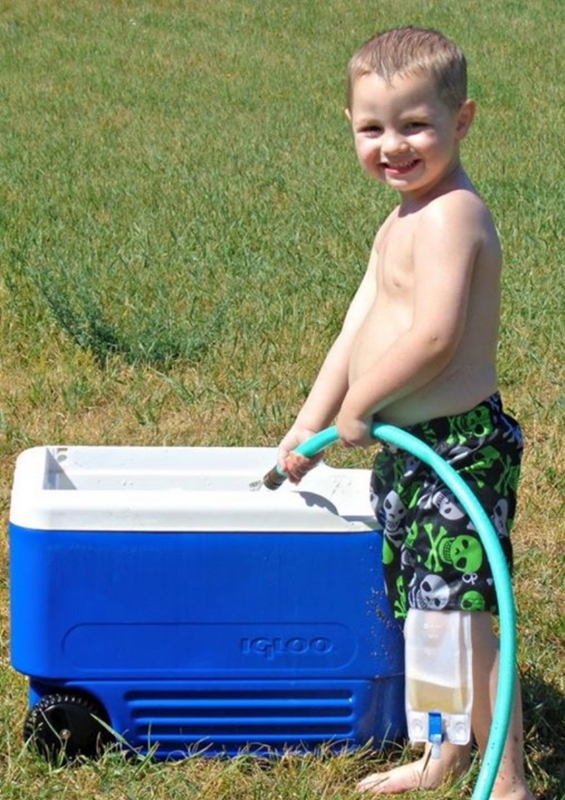 However, he runs the risk of dehydrating and overheating easily. Because of his last surgery, now Oakley will be able to swim, which will make his summers a little brighter. 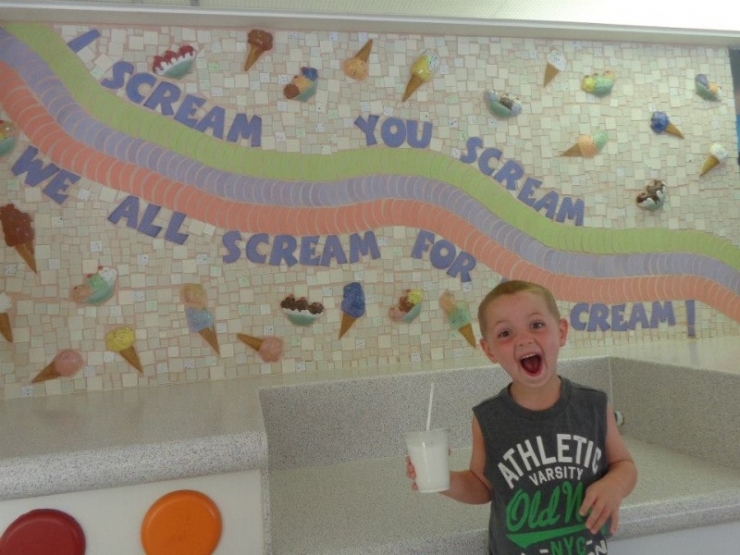 Oakley’s happy personality, positive attitude, and goofy faces are a constant staple. 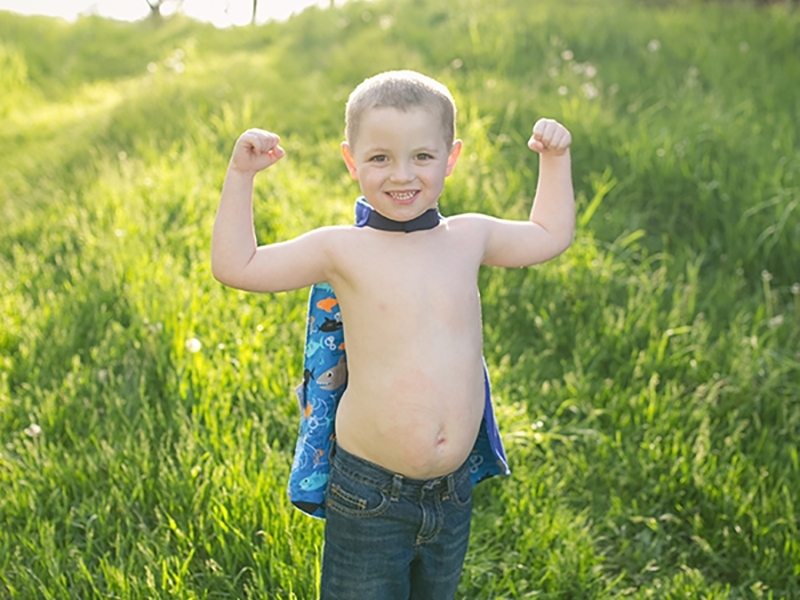 Even the strongest fighters need a little help from time to time, so Oakley’s mom Sarah threw a Hail Mary to Chive Charities for help. 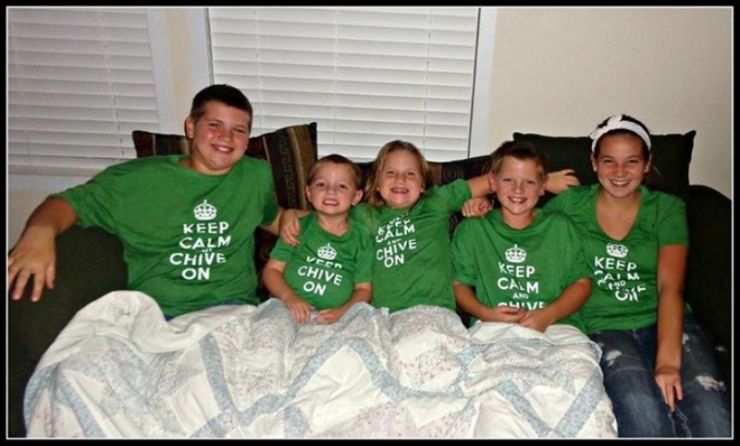 We’re proud to announce that the Chivers came through big with a $59,000 grant from the Chive Fund. The most pressing problem facing the Savickas family was the lack of reliable transportation. Their 2000 Ford Expedition with over 200,000 miles would frequently break down, often resulting in Oakley missing doctors appointments. Not to mention it did not have heat, which is a pretty big problem in places like Michigan where it’s cold 6 months a year. 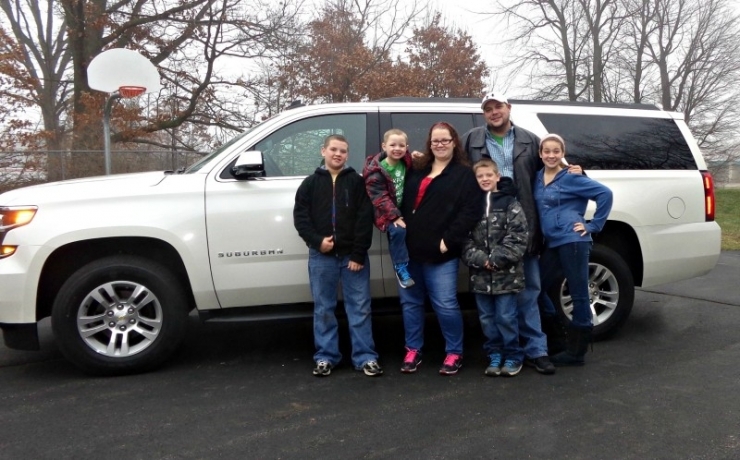 Chive Nation's continued support to the Chive Fund allowed us to buy this brand new 2015 Chevrolet Suburban so the family of 7 can be safe, comfortable, and warm. 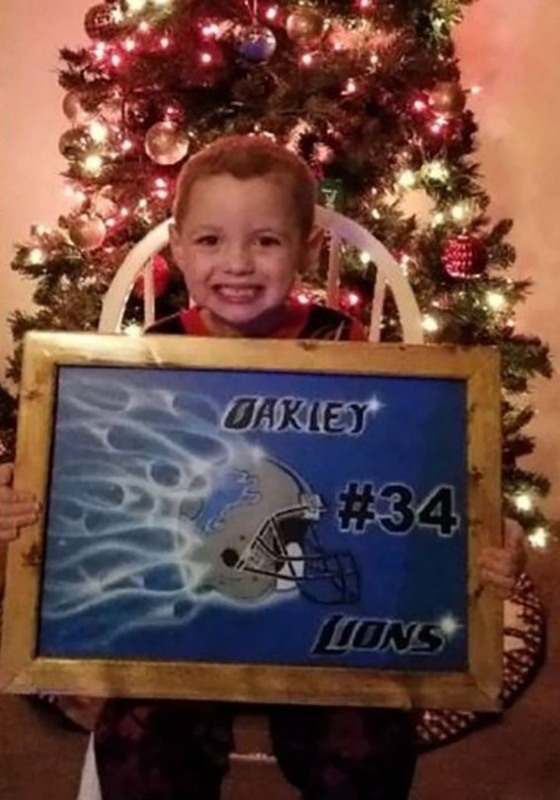 Now the whole family can accompany Oakley to his doctor’s appointments or cheer on the Lions at games. 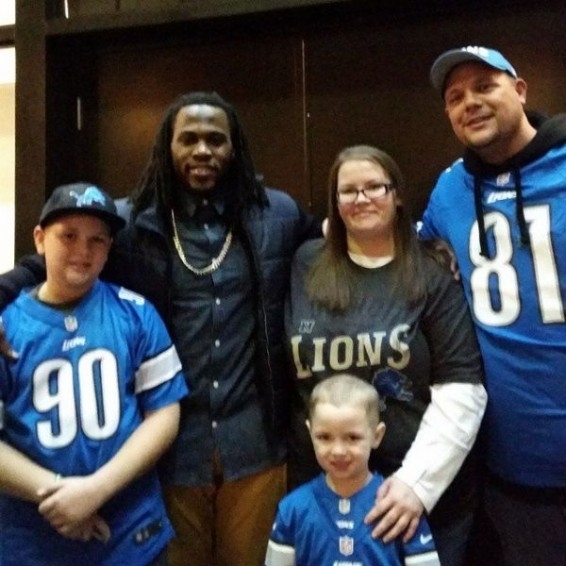 At the Lions vs. Vikings game on December 14, 2014. When Joique Bell (running back for the Lions) left the field after beating the Vikings, he passed right by the press. He had someone very special to meet. Oakley had won a contest to win a Bell jersey and was expecting it in the mail, but Bell’s manager (who is also his mother) contacted the family and asked to do it in person after the game. 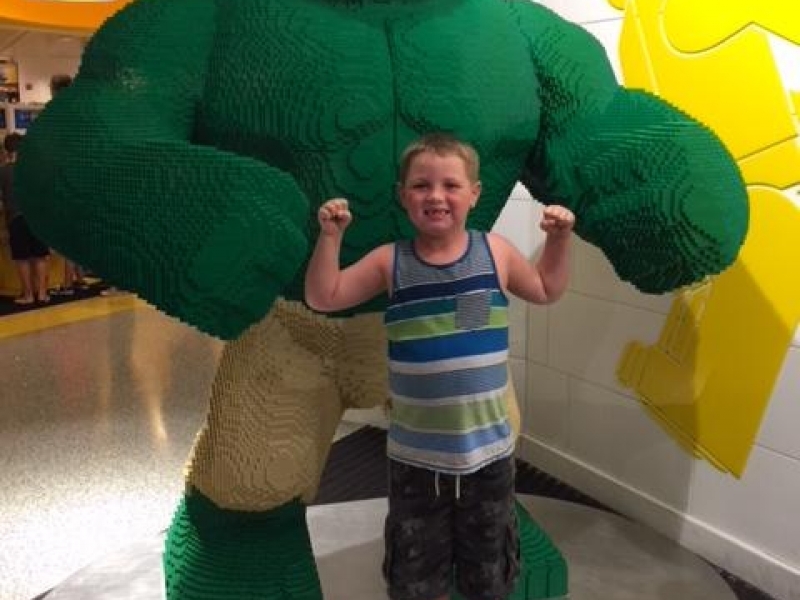 Joique’s sister had received a kidney transplant, which eventually Oakley will need as well, and he was no stranger to Oakley’s struggle. 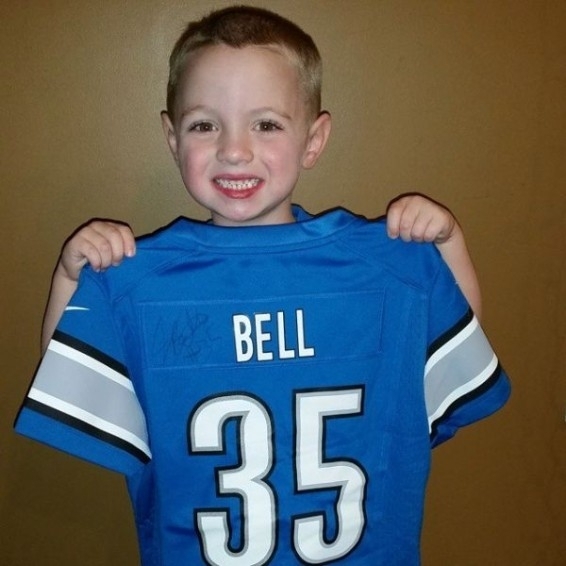 Bell knows that when he puts on a uniform and plays football, little boys look up to him as their hero. But really, boys like Oakley are heroes to him. For Sarah, one of the best parts of being Oakley’s mom is observing the community that rallies around him. The family have all met people they never would have been exposed to if not for Oakley and his fight. 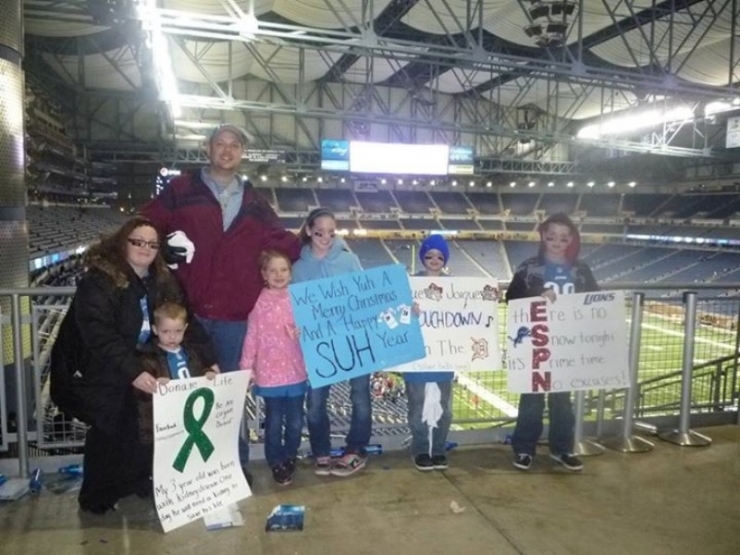 The Savickas family is incredibly generous, and for them, the most important thing is ‘paying it forward.’ In fact, that was the title of the article written about their Band Aid drive last year. Team Oakley collected cool Band Aids for kids, knowing that it’s the small things that can make the difference and distract sick children, if only for a while, from their health issues. 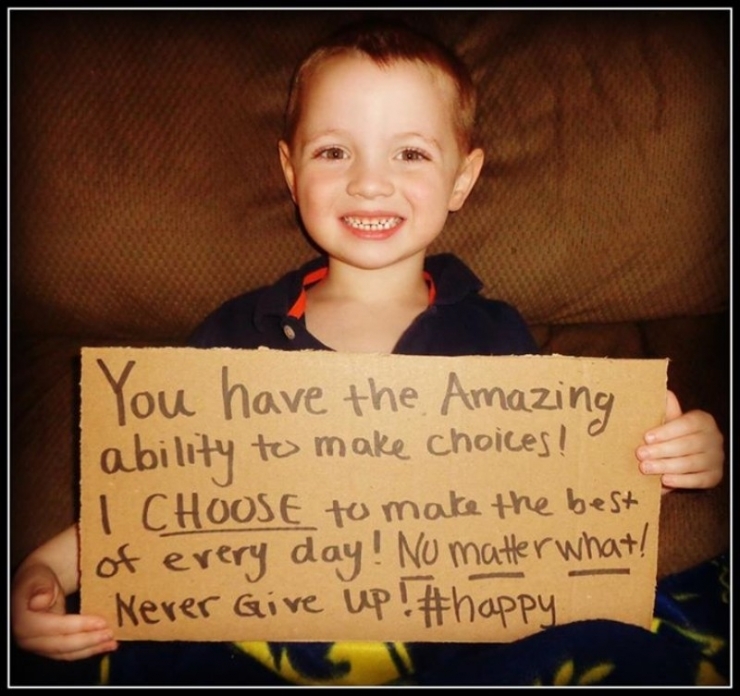 Chive Charities is in the business of inspiring hope, but most of the time it’s the other way around. Oakley’s fight, his bravery, the support of his family, and his unwavering enthusiasm for life is a cause that’s easy to get behind. The Facebook page, Team Oakley, which hopefully someday will be made into a non-profit, also holds Christmas drives each year to sponsor presents for children who wouldn’t receive presents otherwise. Last year, 22 kids were given a Christmas because of him. If that isn’t what the season is all about, we don’t know what is.